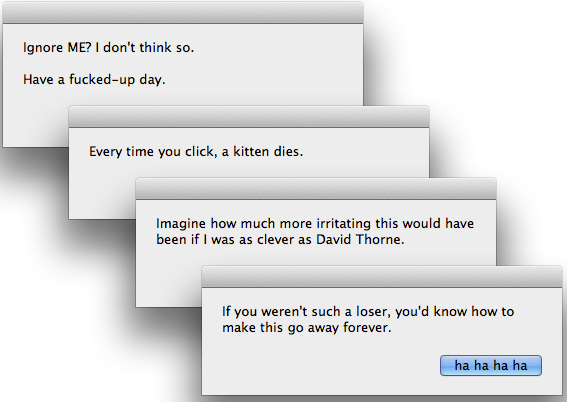 This entry was posted in frivolousness, OS X and tagged applescript, i quit, Mac, OS X, OSX, prank by macgrunt. Bookmark the permalink. This is amazing, well done. It breaths new life into my initial concept by bringing it into a functional dynamic space. O and thanks for keeping in the passive aggressive angry humor. It just wouldn’t feel the same without it.